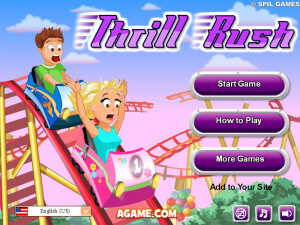 Thrill rush is an exciting roller coaster riding game that involves riding a piece of roller coaster as it breaks apart from the roller coaster. 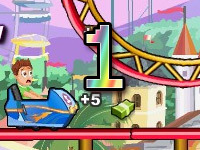 The objective of the game is to survive the thrilling accident by jumping and dodging obstacles in the twisted ride. You are to control your character riding the cart and make him/her duck or jump whenever he/she encounters any obstacles to avoid it. 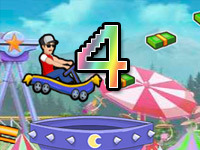 Thrill rush provides a store in which you can find various unique carts and avatars to choose from, some of which are free while others needs to be purchased with the cash bonus collected in the game, so be sure to collect the bonus in the game to use the desired items. With several new features and upgrades, thrill rush game provides a sequel which is much exciting and thrilling as the name suggests. 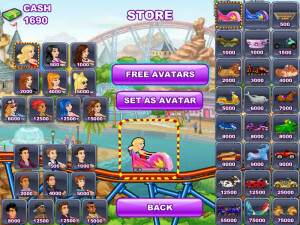 Thrill rush 2 is more fun to play with as it offers a wide variety of items in the store which can be quite confusing to choose for each of its own uniqueness. 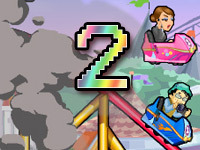 Thrill rush 2 offers a disaster roller coaster ride which occurs both in the day and at night, these are two unique features that adds a new taste to the game, these two different time of the game provides different benefits, the ride at night offers more cash bonus but it is available only after certain intervals, while the ride in the day offers less cash bonus on completion is always available. 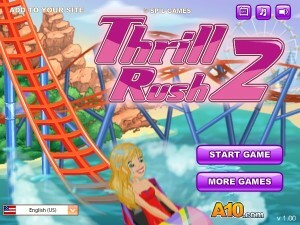 Another sequel of the thrill rush games and it has more features than any of the previous parts. 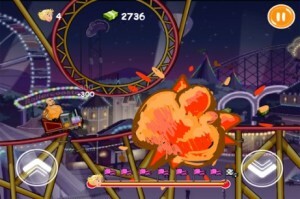 The game consists of a similar objective but with various new changes in the environment, stage set up, obstacles and much more for which the game undergoes an improvement. The stages in the game being more exciting and lively provides a great deal of excitement and challenge for the increasing difficulty in the game. 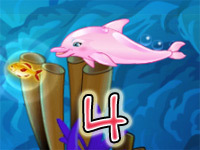 The game has multiple objectives in the game to choose from as there are different game modes which offer different objectives and challenges to complete. There are more items available in the store and more avatars to choose from and the price of the items and avatars in the store are quite beginner friendly. 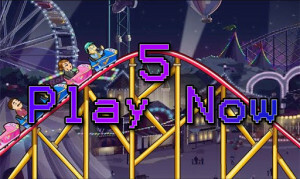 This is the fourth part of the thrill rush game, which is almost a complete remake of the game for the features and functions that were added and replaced in the game. The primary objective remains quite similar but with different changes in the story the game provides a unique purpose to play it and the obstacles in the game provides a more scary and thrilling adventure. A different type of thrill rush game, which do not consist any roller coaster ride or any disaster ride, the game takes place in a water coaster and you are participating in the thrilling ride to have some fun and excitement. 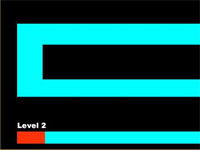 There are several obstacles in the adventure which you must avoid by jumping and dodging, moving from one slide to another.